Customer expectations are at an all-time high, according to the Salesforce State of the Connected Customer report, released this week. A whopping 80 percent of customers said that the experience a company provides is as important as its products, and 67 percent said that their standards for those experiences are higher than ever. Canadian results were virtually identical, at 80 and 69 percent. Yet just over half worldwide said most companies fall short in delivering experiences, and 54 percent don’t believe that companies have their best interests in mind. Based on a survey of 6723 respondents globally, chosen from third-party panels (not just Salesforce customers), the report presents a picture of how attitudes among both business buyers and consumers have changed since the company last did this research in 2016. 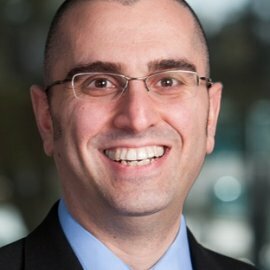 Said Vala Ashfar, Chief Digital Evangelist at Salesforce, “In 2018, technology is more ingrained in the customer experience, and trust has moved to the forefront of consumer minds.” This year, 62 percent of customers said they are more afraid of their data being compromised than they were two years ago. In fact, said Ashfar, in 2016, the issue of trust wasn’t even on the radar. At the same time, the survey shows that both businesses and consumers want personalized experiences. Only 68 percent of customers in the 2016 survey said they’d be likely to switch suppliers if they were treated like a number; today it’s 84 percent. “That’s the paradox,” he noted. Marketing personalization response varied between consumers and business buyers. While in total, 59 percent said that a tailored engagement based on past interactions was important in winning their business, business buyers placed much more importance on cross-channel ads (ads on one channel based on interactions on another channel) and personalized offers and communications. Personalization extends to support as well, with 70 percent of respondents saying that customer service representatives’ awareness of sales interactions was important in keeping their business. To make things more complicated, on average, customers reported using ten channels – everything from mobile apps to chat/live support – to communicate with companies, and while millennials listed a high of eleven channels, boomers and Gen X weren’t far behind at nine. And overall, 67 percent of business buyers of all ages prefer to buy through mobile apps. Another generational difference: although millennials have the highest expectations – 83 percent expect companies to understand their needs, and 75 percent would pay more for a better experience – boomers were much more likely to switch suppliers to get a better experience. Only 45 percent of millennials said they’d change, while 71 percent of boomers said they’d do so. However, trust is the element that should echo with CEOs, Ashfar noted. “Trust has to be the number one core value,” he said, given that almost half of respondents believe that companies do a bad job protecting their data. Despite this fact, 87 percent of millennials are willing to share relevant data in context, vs 78 percent of Gen X and 67 percent of boomers; overall, confidence in sharing is increased if companies say why they need the data and what they will do with it. In addition, 88 percent of customers overall want to be asked for their permission to collect the data, and 92 percent are more likely to trust companies giving them control over how it is used.